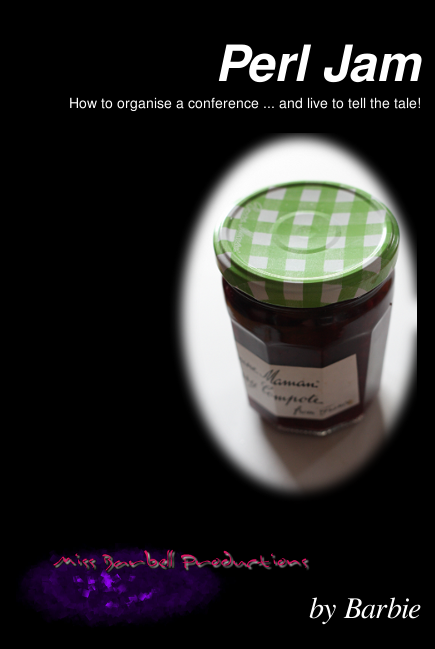 How to organise a conference ... and live to tell the tale. The Perl Community is a wonderful thing. It is a collective of people who share a common interest, the Perl programming language, but express that interest in so many different ways. The projects, user groups and events all capture a different part of the community, but it wasn't until the late 90s that the community started to co-ordinate their activities. In 1998 the first Perl Workshop took place in Germany, and in 1999 the first YAPC Perl conference took place. These were the beginnings, but the events themselves have grown and become further reaching than the initial core developers that came along to those first events. Perl Jam aims to collect together the knowledge and experience of organising some great Perl events, and order them in such a way that anyone wishing to do the same, can follow the footsteps of those who have gone before, and prepare themselves for what will hopefully become a great event. This book has undergone several private drafts, but now we are opening up the book source to a wider audience in order to allow others to review and contribute to the contents. If you would like to review the book, please fork a git repository from our GitHub Perl Jam repository. You can send pull requests if you wish to add or amend content, and be sure to include your name in the contributors section. We accept donations through PayPal. Proceeds and donations from this book will go towards funding development and hosting of the YAPC Conference Surveys, as well as this book. Copyright © 1998-2013 Miss Barbell Productions.